Third plays fifth in this game in Group E and both teams understand the importance of a victory in this game. The Belgrade side hold a 4-3 record in the Top 16 at the moment while the Turkish side are sitting with a 3-4 record. 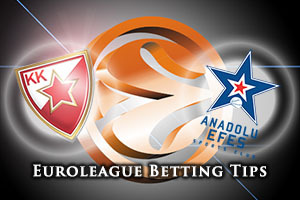 An away win will drag Belgrade down, so there is all to play for at the end of the week. Quincy Miller has been in spectacular form for the hosts and if he can deliver a strong performance, there is a very good chance the home fans will be going home happy at the end of this game. He isn’t the only player capable of turning on the magic, Maik Zirbes and Vladimir Stimac are both big players for the home team but they have a varied style of play which can be difficult to defend against. A home win is vital to maintain the playoff hopes of the Belgrade faithful and of Crvena Zvezda’s big name players find form, they can grab the win the fans crave. Istanbul are still very much in the running to progress beyond the Top 16 but they know that they have to start grabbing wins sooner rather than later. Thomas Heurtel has been a key player this campaign and he leads the league with respect to assists. Jayson Granger is another player who has been in fine form this campaign for the Turkish team who base a lot of their play on their thee point attack, although their free throw shooting leaves a little to be desired. Derrick Brown has also had a big role to play this season and if he and Dario Saric dig in, it could be a tough night for the home team. The bookies aren’t looking to call this one with the money line odds being 1.90 for both teams. 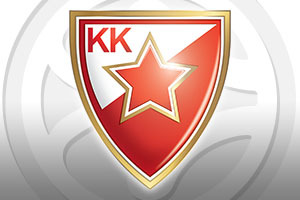 Look to take Crvena Zvezda Telekom Belgrade at -1, on offer at odds of 2.00. With respect to the Over/Under market, you should look to go OVER 158.5, which you can find at odds of 1.90. Bet Now!